What is a travel organizer? 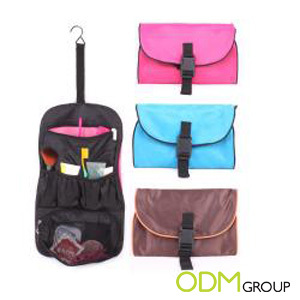 A travel organizer is a pouch which keeps all your items, whether big or small. This funky travel organizer is a great promo gift! This 7-in-1 foldable travel bag is convenient, light and functional. It is a necessity to be brought along for your overseas trip! It has as many as 7 compartments, which can hold different items such as cosmetics, toiletries, medicine and etc. In addition, there is a hanger attached to be hung on the wall when necessary, especially in the toilet or on prams when used to place baby products. It requires minimal storage space as well. Simply fold, buckle and keep in it your bag. This promo gift is ideal for travel agencies such as NATAS, STA and ABTA. It can be given out as a free gift with purchase of any travel packages! It is important to brand your promo gifts with your company logo and related information to increase brand awareness. 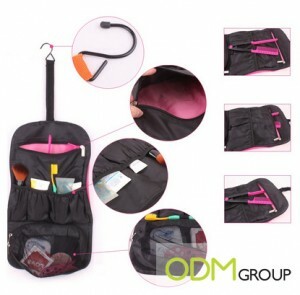 By branding the travel organizer, it attracts customers to patronize the travel agency. Most importantly, a well marketed promo gift would boost brand recall to existing customers and encourage them to make repeat purchases. This encourages brand loyalty. When is a good time to introduce this promo gift? A promo gift is used to boost sales and improve brand value. However, it is important to introduce promotional gifts at the right timing. When is the right timing?